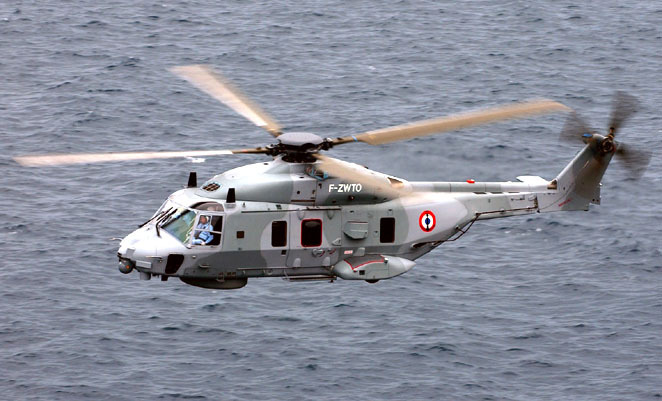 The French navy took delivery of its second NH90 maritime helicopter, named Caiman after the South American crocodile, on September 7, with the combat configured helicopter landing at the Hyres air base for trials. The Caiman is planned to enter service in the autumn of 2011, with the type to be stationed at the Lanvenoc air base in Brittany. The Aeronautique Navale will take a total of 27 Caimans by 2021 to replace Super Frelon and Lynx helicopters in anti-submarine and anti-ship warfare, tactical transport and SAR roles. The Caiman is a variant of the NATO Frigate Helicopter variant (NH90 NFH) which is being pitched to the Australian Defence Force to replace the Navy’s fleet of Seahawk helicopters under Air 9000 Phase 8.